- You will get 4 mins. - You HAVE to get a NON COMIC plus 1 (plus one is free entry). - If you do not get a plus one you will not be allowed to perform. - You can do the open mic in Hindi or in English. - Sexist material will be called out. - There are only 8 spots available. - You need to be at the venue 30 min prior to the show or your spot will be cancelled without a refund. - When you purchase the spot, you are also confirming all the material is - your original and you are responsible for whatever you say, the organisation or the venue are not responsible. - You can only purchase 1 spot PER MONTH. - This is a competition - if you win, you get a spot directly at the next open mic. 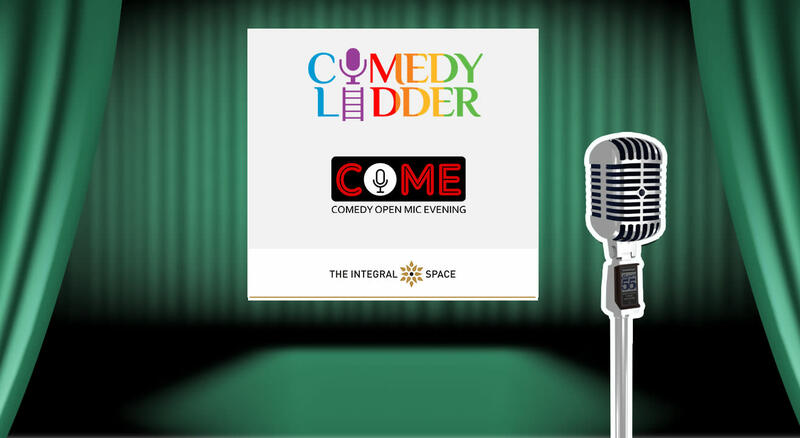 - Inappropriate behaviour will not be tolerated at Comedy Ladder. Follow @come4come on all social media for updates on the show and add come ladder as a friend on Facebook.